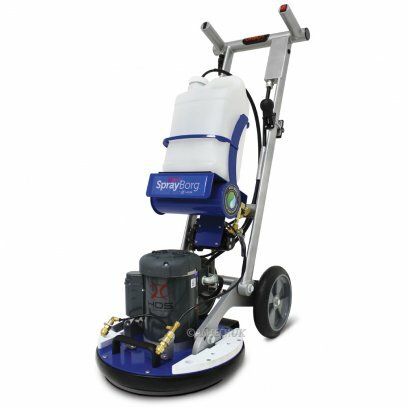 The HOS Orbot SprayBorg is the most compact, versatile orbital floor machine which can be used in both commercial and residential properties. 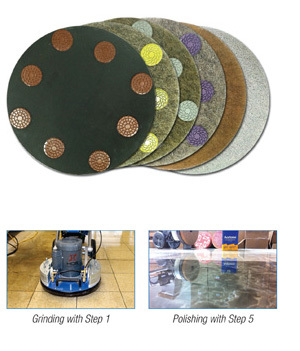 The unique drive system enables an assortment of pads and brushes to be easily attached to it for cleaning, scrubbing, sanding, stripping, polishing and bonneting. 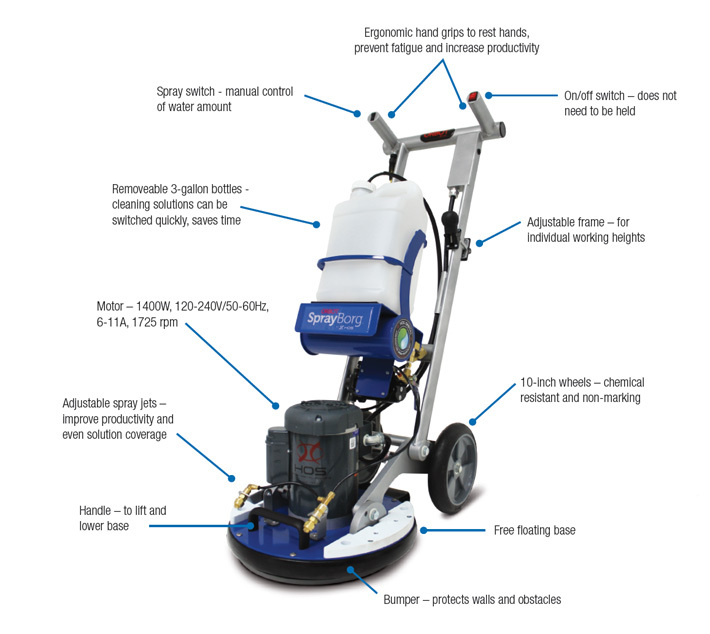 The HOS Orbot SprayBorg with its 10 Litre bottle, quick release pre-spray cartridge system which is controlled at a finger tip enable the operator to spray precisely in front of the machine. 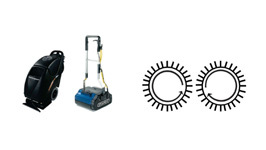 Orbital technology is the secret behind the unique cleaning effect of the ORBOT. 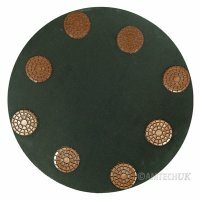 It is an excentric driver system that creates thousands of small circular movements with a diameter of 3/8” at 1725 rpm. At the same time, these “orbits” rotate together around the center of the driver plate at 80 rpm. These two movements are being combined into one system. This innovative, patented design is called orbital technology. 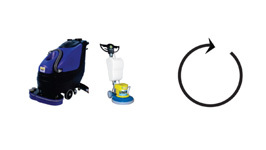 Compact System – Orbot can fold down to 30" in height for ease of transport and storage. 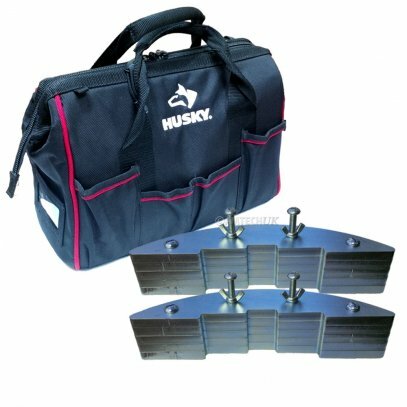 Easy Tilt Base – Base tilts up for quick and easy pad replacement. 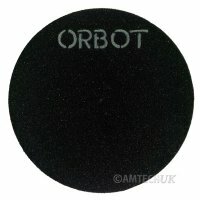 Drive Board Sizes – The Orbot SpraBorg is fitted with a 17" drive board. Big Wheels – The Orbot SprayBorgs is fitted with large 10" wheels for effortless mobility over staircases, steps, curbs, holes, and other obstacles. Light Weight – Orbot SprayBorg weighs only 46kg. Vertical Handle – Vertical handle grips for ease of control and reduced lower back stress. 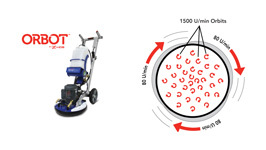 Motor – Orbot has a powerful 1 horsepower universal 220V/50 Hz. motor which generates 1725 oscillations per minute. 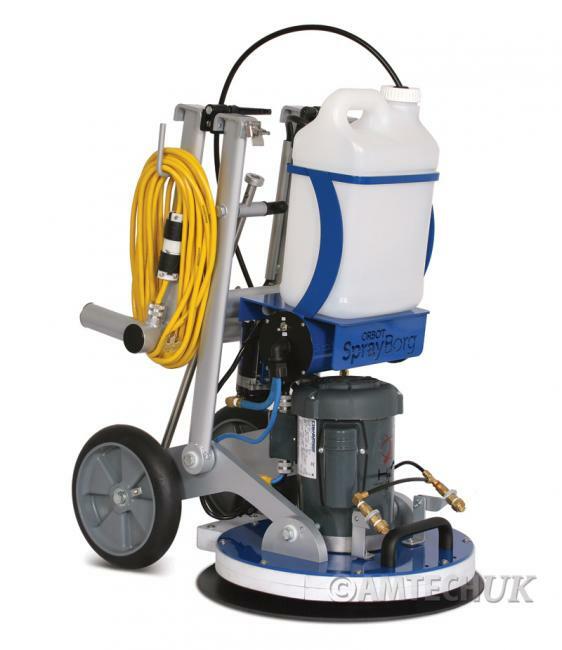 Quick Release Cord – Orbot SprayBorg is fitted with a quick connect/release power cord system. 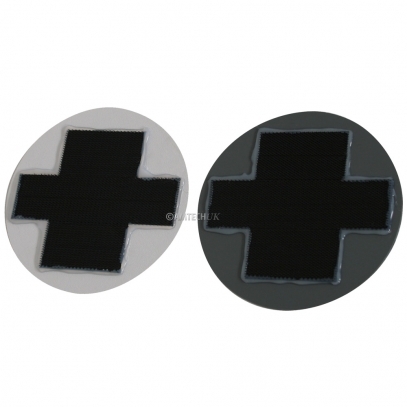 Velcro Driver Plate System (VDP) – Velcro Drive Plate can be removed and replaced with a new Velcro plate within seconds if required. 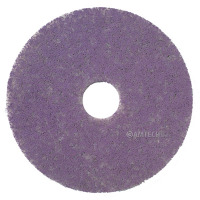 Smooth-Glide System – The gliders enable the machine to operate effortlessly on all carpet pile thicknesses. 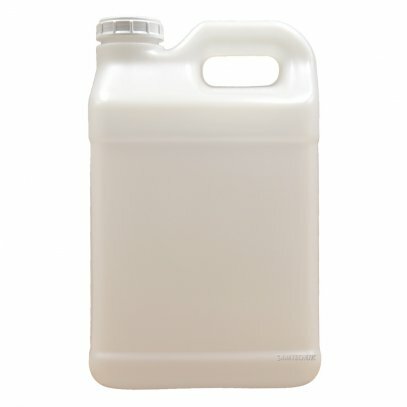 10 Litre Cartridge Bottle System – Supplied with 3 bottles for premixing solutions. 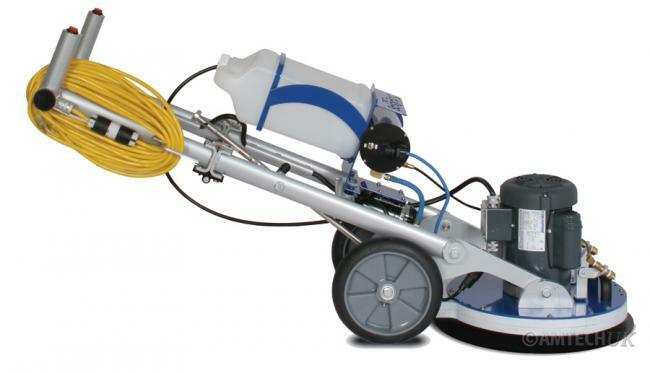 SprayBorg Flow-Control System – Control the flow rate on the SprayBorg. 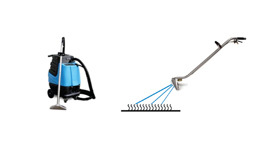 Settings can range from a fine spray up to 4 litres per minute. 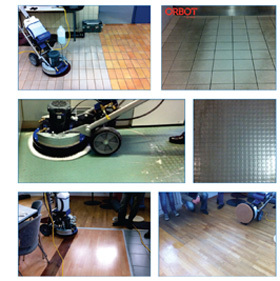 By increasing the mechanical cleaning power with the ORBOT, other factors of floor cleaning like water, time, chemicals, physical effort and temperature are reduced or even eliminated. HOS Orbot has it all! 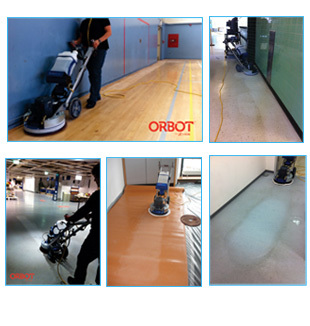 AkwaStrip pads combined with orbital technology the ORBOT creates a hydraulic suction and a fine scrubbing, making a quick and effective cleaning of microporous floors possible. 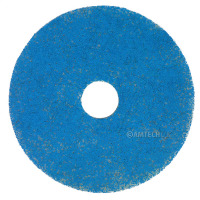 Textured rubber flooring can be thoroughly cleaned with our unique brush design. The studs are encircled from all sides due to the ORBOT’s oscillating movement. 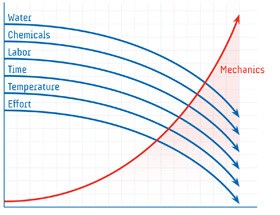 Solution flow is easily controlled and shut off. 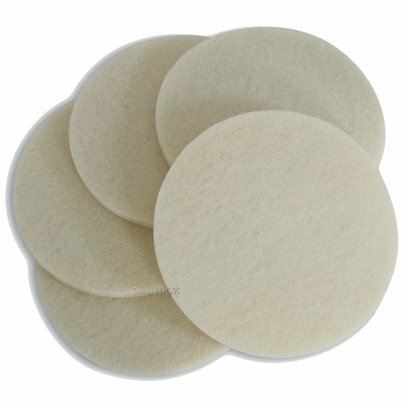 Moisture sensitive floors such as wood, laminate and cork can be easily cleaned without damage. 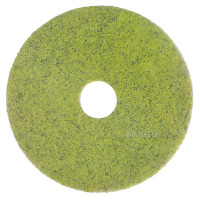 Floors can be scrubbed with AgiClean pads and dried with SuperZorb pads. 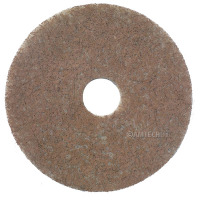 Due to orbital technology, stone floors are worked more intensively and quickly – that’s why grits can be skipped with our system and the floors can be fully restored in a shorter amount of time than traditional techniques. 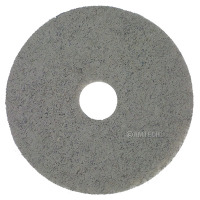 Deep scratches and impurities are easily removed. 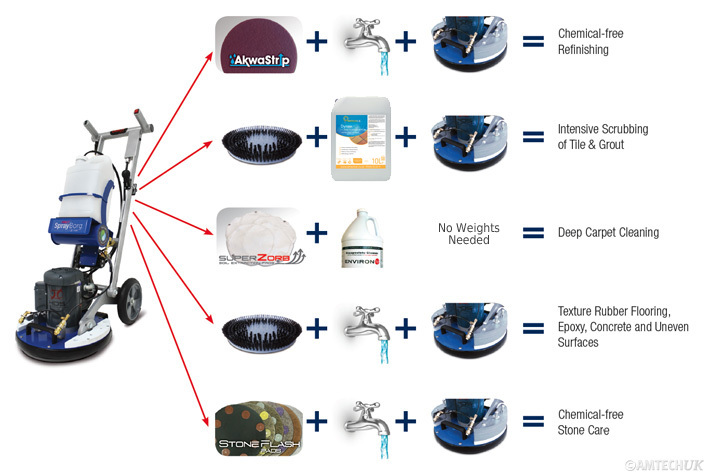 Stone pores are mechanically closed tightly creating a highly glossy, reflective and beautifully detailed natural floor. 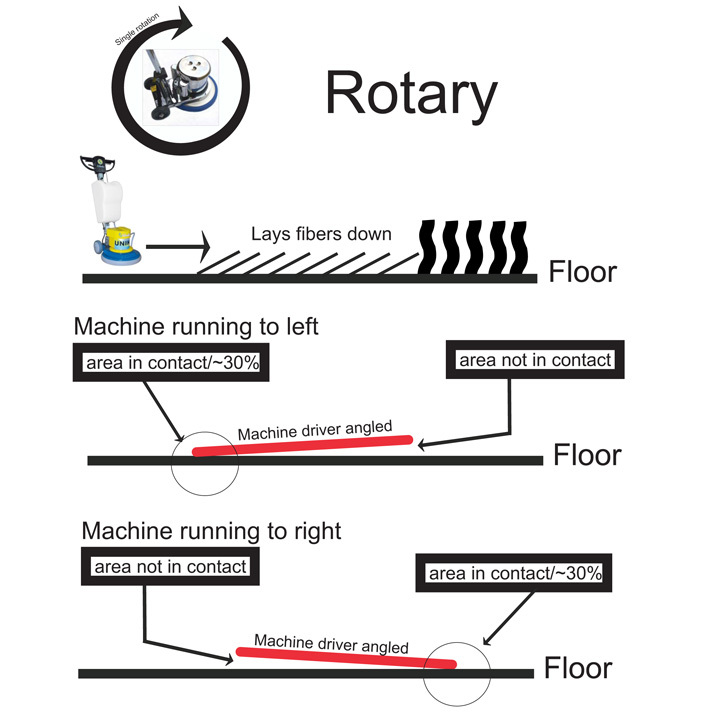 Even weight distribution across the entire pad eliminates wavy floors. 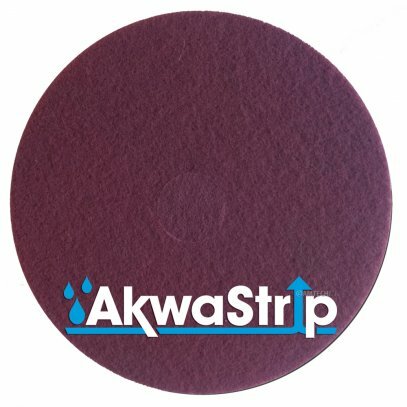 The ORBOT removes old coatings with our AkwaStrip pads or sanding screens in no time! No chemicals needed! 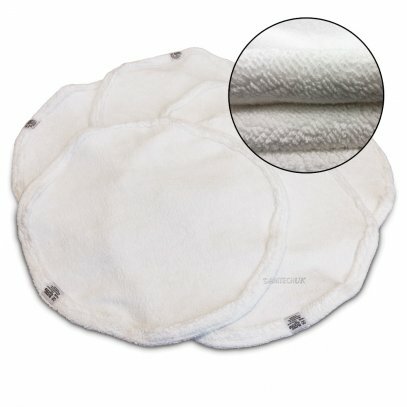 Complete pad contact on the floor increases productivity and ease of use. 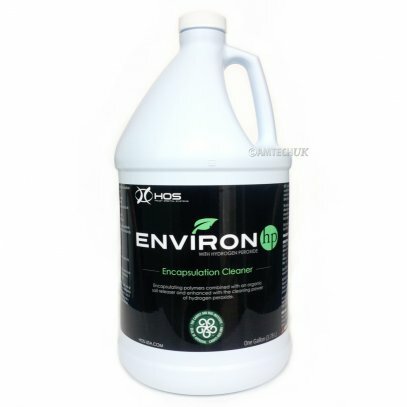 Costly and environmentally damaging chemicals are not needed! Due to the orbital drive technology and ergonomic design, the ORBOT can be used by anyone – without causing fatigue or back pain! The average values can vary depending on floor type & condition, grade of soil, needed care, and operator experience. 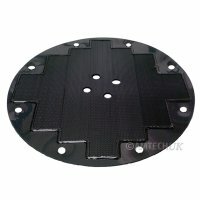 Uneven floor contact of the driver plate decreases productivity and leads to many problems. 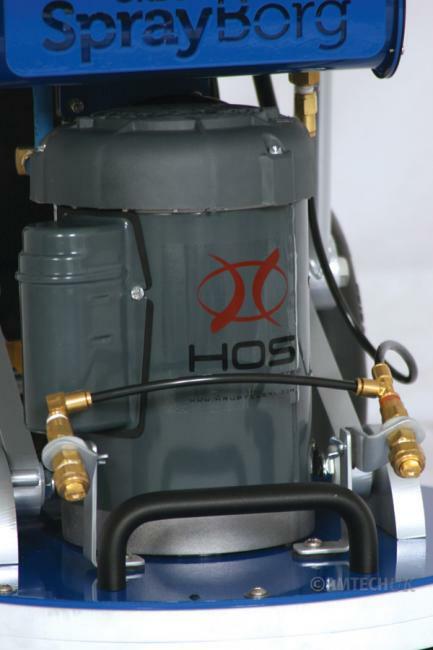 The floating machine base allows the driver plate to always sit flat on the floor, surfaces can be cleaned evenly and controlled. Productivity increases and many problems are solved.